← Where do you buy your meat? For a treat we went for Sunday roast at the Red Lion, we’d been in all weekend as one of the foodies had a slight run in with a bath mat resulting in a trip to Whipps Cross A&E and a verdict of badly bruised ribs. That wasn’t going to stop us checking out one of the pubs from the Antic chain who have just bought The Chequers on the High Street E17. Although we still miss Kitty’s Thai food we are excited at the prospect of a good pub serving food near us. I’ve often thought that the heart of Walthamstow isn’t in the village but closer to the market. Previously a grungy South African bar the Red Lion has certainly had a makeover. The position of the bar remains, but it now has a vintage retro feel; lots of old school crockery and mis-matched lampshades. Electrics and H&S – which we are sticklers for (we won’t go into our numerous ‘you’ve blocked the fire door’ conversations) are bang up-to-date so we could breathe easy and enjoy the East End ambiance. It was an eclectic mix, there was a 40th birthday party ordering copious bottles of something fizzy to accompany a rather inviting buffet in one corner, and locals with dogs in another area mingling with trendy Dalstonites who seemed to have crossed the border to sample the local ales. Even though the place was full we only waited a few minutes before a member of staff found us a table. We settled in with the Sunday papers and the wine list. They have a good selection including Malbec, Albarino and Merlot – we chose a Tempranillo at £13.90. 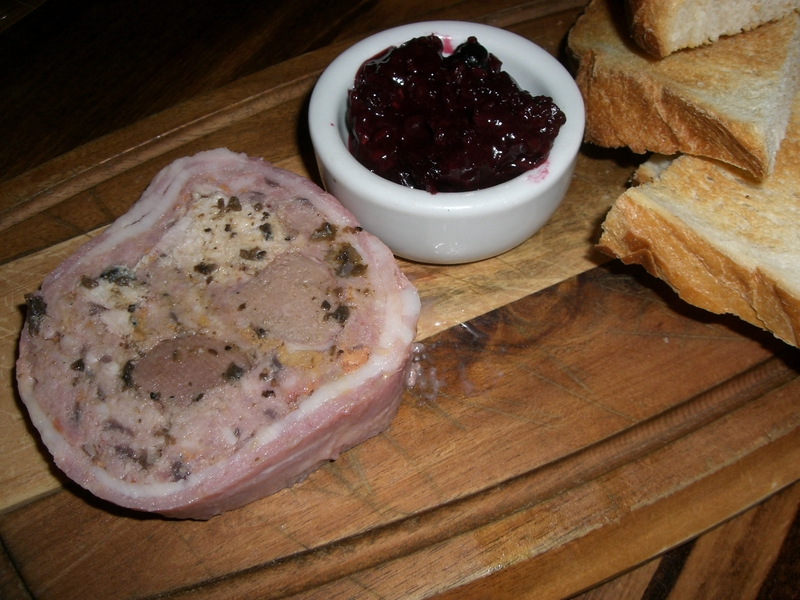 The menu pushed the culinary boundaries of bog standard pub grub; I was impressed with game terrine with a blackberry chutney. The dish had a pungent smell of truffles – since my Croatian experience this wins me over every time. 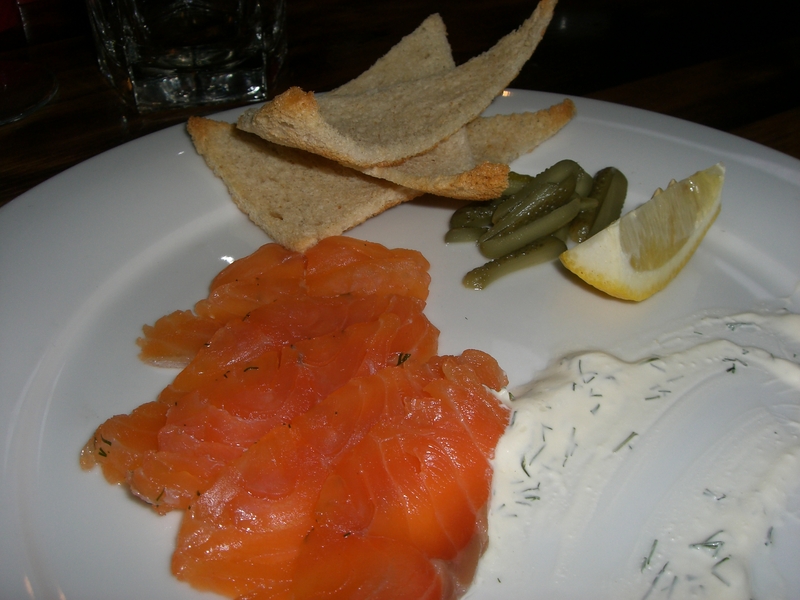 The other Walthamstowfoodie had home-cured salmon gravadlax served with toast, gherkins and a chive dressing. 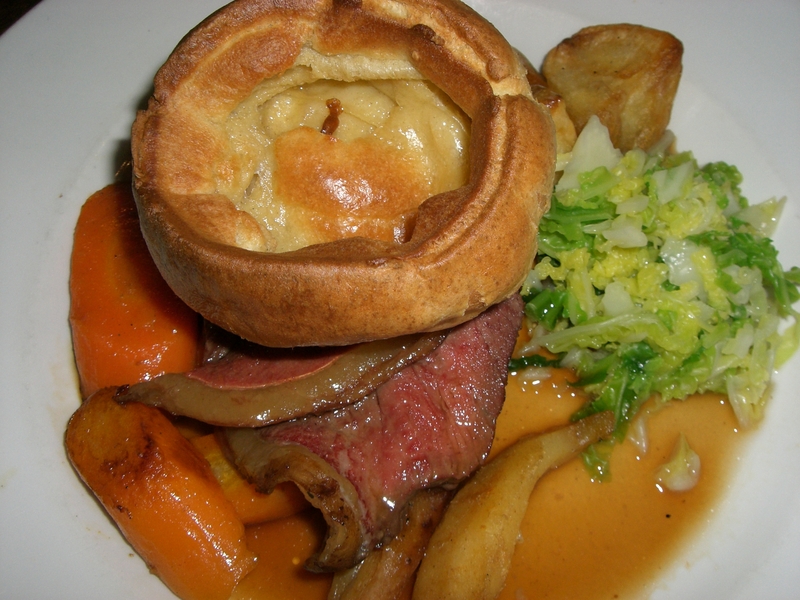 We followed these by roasted 28 day hung British beef with the traditional trimmings – parsnips were particularly sweet. One minor gripe – I’ve never been charged for extra gravy before – 75p! Although mustard and water was provided free of charge the Yorkshire skinflint in me is still outraged for having to pay for extra gravy – I only needed it because there was a drought on the plate in the first place. The chicken with lemon and oregano stuffing was a good choice and there were also a couple of fish options which is unusual. Would we go back? – You bet! I now can’t wait for The Chequers to open after it’s revamp from East End boozer, apparently no date as yet but I’ll definitely be one of the first to reserve a table. This entry was posted in Pubs, Restaurants in E17 and tagged Chequers, Leytonstone, Red Lion, roast beef, Sunday roast, Walthamstow. Bookmark the permalink.